Kathy Gale is a Spokane native and graduate of Gonzaga University (BA '78). 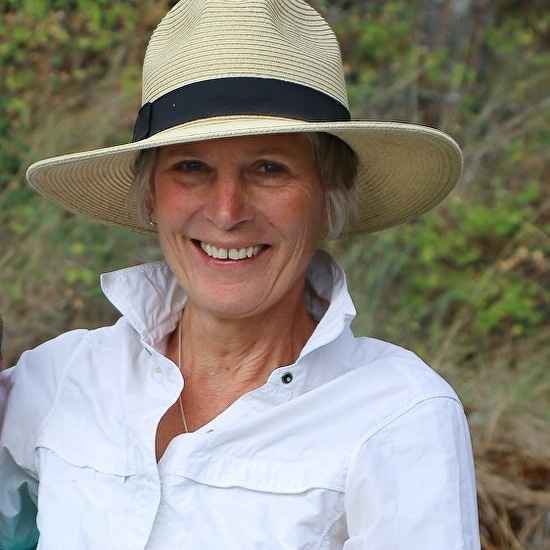 She lived in Seattle and on Bainbridge Island for many years, painting for individual and corporate clients alike. Kathy has lived in Coeur d'Alene, Idaho for the past 26 years. Kathy considers herself a traditional artist in today's visual art world. Working from life and in the studio, her drawings and paintings lean heavily toward Impressionism with a strong abstract quality. She continues to work toward a direct method of painting, using oils, watercolors, or pastels, with subject matter ranging from still-lifes and portraits, to landscapes of the Pacific Northwest and beyond. This collection of paintings is a response to my first viewing of the Skagit Valley Tulip Fields in the Spring of 2015. The goal was to take some photos, and subsequently, to paint a few pretty pictures of those colorful fields. Instead, I snapped as many photos as I could in a 4 hour time span, and came home to start working on just as many paintings. I was captured, not by the tulips, but by the Field Workers themselves. They have compelled me toward my easel more than any other subject I've approached. I hope that my work pays adequate homage to these tenacoius Field Workers of The Skagit Valley. Whether a migrant worker or day laborer, their physical resilience and emotional grit are the qualities that keep agriculture productive every day, throughout the world.